represents the boundary of the region reg. A point p belongs to RegionBoundary[reg] if any ball centered at p contains points that belong to reg and points that do not belong to reg. 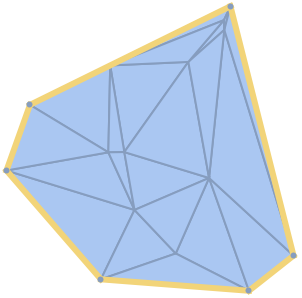 RegionBoundary can be used with symbolic regions in GeometricScene.